Every so often a bike comes along that rocks the entire industry; Behold! 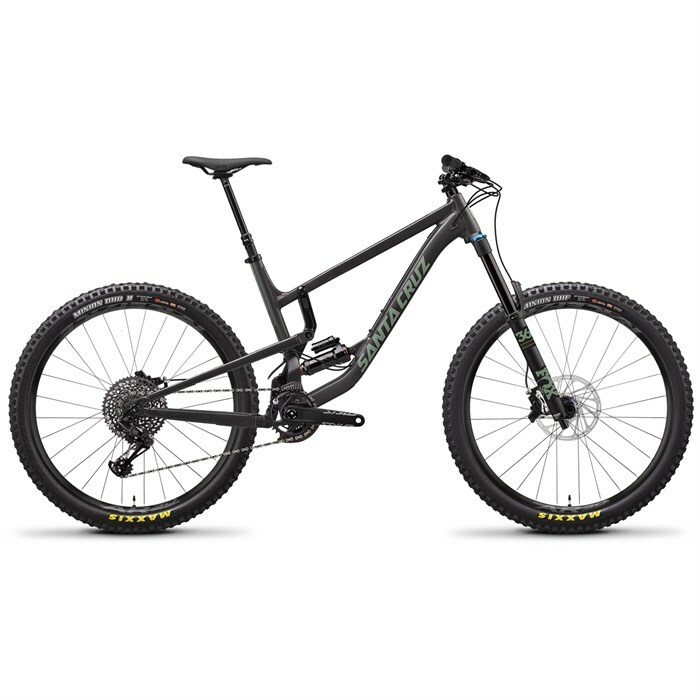 The completely redesigned Santa Cruz Bicycles Nomad A S Complete Mountain Bike. Sporting an adapted VPP® suspension design borrowed from Santa Cruz's V10 DH bike, the new Nomad gets a 5mm boost in rear travel and a slacker geometry that takes this storied bike to the next level. That may not sound like much, but, the new linkage layout is now fully progressive for a smooth, playful feel like no other bike in its class. The aluminum frame is lighter and stronger than ever and with the SRAM Eagle 1x12 drivetrain, you'll have the means to smash climbs as hard as you crush rock and dirt on the way down. If you want a lively all-mountain monster that will handle it all, you have got to get your hands on the revamped Santa Cruz Bicycles Nomad A S Complete Mountain Bike! 170mm VPP® Suspension  VPP is based on the patented principle of having two short links rotating in opposite directions. This system provides huge design flexibility, allowing Santa Cruz to manipulate shock rates to the intended purpose and character of each model; from short travel endurance bikes to World Championship winning DH machines. Single Grease Port on Lower Link  Swift and easy maintenance. Front Tire: Maxxis Minion DHF 3C Silkshield | 27.5 x 2.5"
Rear Tire: Maxxis Minion DHR II EXO Silkshield | 27.5 x 2.4"